Maid service 4 times x week. More upon request. The house is located in the town of Sayulita on one of the highest hills yet a very short walk to center of town and the beach. Sayulita is located in the southern most corner of Nayarit, near Puerto Vallarta and the state of Jalisco. See Map below. Set on a hill in the small, charming tropical town of Sayulita, overlooking the beautiful Pacific coastline of Mexico, Casa Dos Chicos is a unique vacation home that is at once beautifully designed, and comfortable for families and group of friends alike. This newly renovated villa on the Riviera Nayarit, with 360 degree views and its own lush garden, features four beautifully decorated suites, a swimming pool, a tree-top Jacuzzi with ocean views, and a Mexican-style open air living area which includes a rooftop living room and kitchen/dining room dramatically linked by a bridge. This one-of-kind property has views not only of the ocean and coastline but also of the lush foothills of the Sierra Madre and the energetic town of Sayulita which surrounds it. Each of the colorful accommodations has its own bathroom with shower, king size bed, fan, and indoor and outdoor sitting areas. All rooms share views of the walled garden, pool, town, and surrounding hills. The house and grounds provide a private retreat high above the town and the sea, which at the same time is only a short walk to all the local charm Sayulita has to offer. This three thousand square foot home, which can sleep up to ten, offers the best of both worlds: it is at once your own hideaway and a gateway to the delightful town of Sayulita, known for its languid pace, smiling attitude, and happy-go-lucky approach to life. Sayulita has been called “Mexico's best kept secret” and we invite you to spend your next vacation disco- vering Sayulita's best kept secret, Casa Dos Chicos. The house is available on a weekly basis from Saturday to Saturday, year round, and for long weekends in low & shoulder seasons. Please submit your reservation request and we will confirm availability and price. Rates are inclusive of daily cleaning, all utilities, Wi-Fi, bed linens, all towels including pool towels, soaps, detergents, bathroom amenities. Rates listed are for occupancy of 8. Fees apply for 2 extra people in twin beds. To reserve we require a signed contract and payment of 50% of rental. Balance due will be owed 4 weeks before rental begins. A refundable security deposit of $1,000 is due before rental begins. Payments can be made with credit card or money transfer. 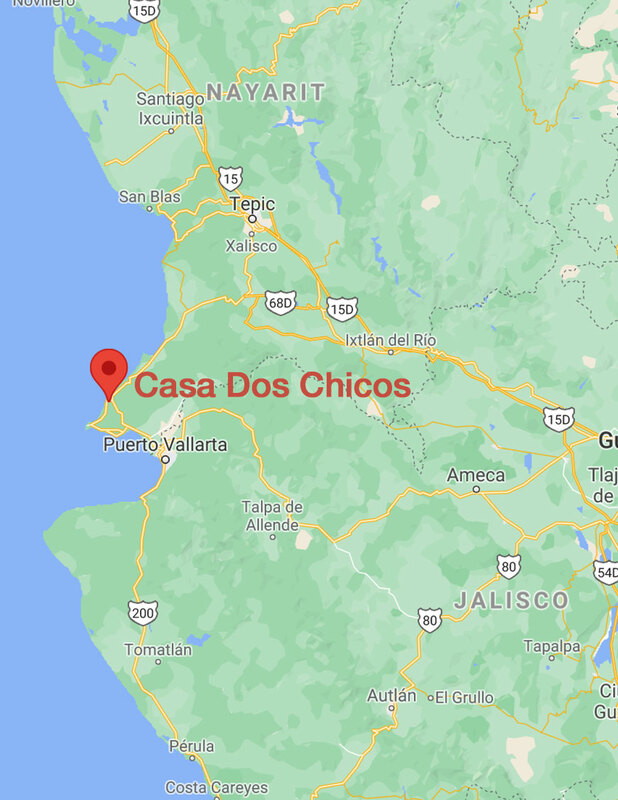 We would be happy to help you make your stay at Casa dos Chicos very special and to organize any of the services listed above as well as others not listed. Owners and on site manager can assist you with all your needs and wishes.